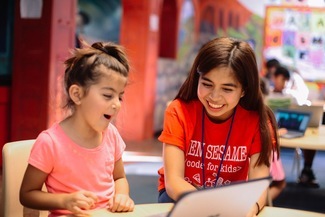 OPEN SESAME CODING FOR KIDS invites high school and college students to teach coding and computer skills to children at local homeless shelters, domestic violence shelters, and emergency shelters for youth in OC's foster care system. We provide the Chromebooks and curriculum. For more information and to register to volunteer, please visit CodeOpenSesame.com. Then sign up for a shift (or shifts) here. We will send you the address for the coding session a few days before the event. By attending our events, you grant permission for us to photograph and record you & your participation in Code Open Sesame's activities, programs and functions, and you give us permission to use such photographs and recordings, without any payment to you, in perpetuity.